Many land snails and slugs are pests in landscapes, vegetable gardens and greenhouses when they feed on plants. They feed directly on foliage and fruit which is the main concern and damage from these molluscs can be severe. Their preference for succulent foliage makes them serious pests of seedlings, herbaceous plants, and fruit ripening close to the ground, e.g., chrysanthemums, Alstroemeria. The most destructive snails and slugs are often introduced exotic species. Both slugs and snails have fleshy, soft, slimy legless bodies that range in color from whitish-yellow to black; most are mottled with shades of gray. Their eyes are carried on the ends of stalks or appendages on the head. Snails and slugs have similar bodies and both are protected by the mucus that they secrete. 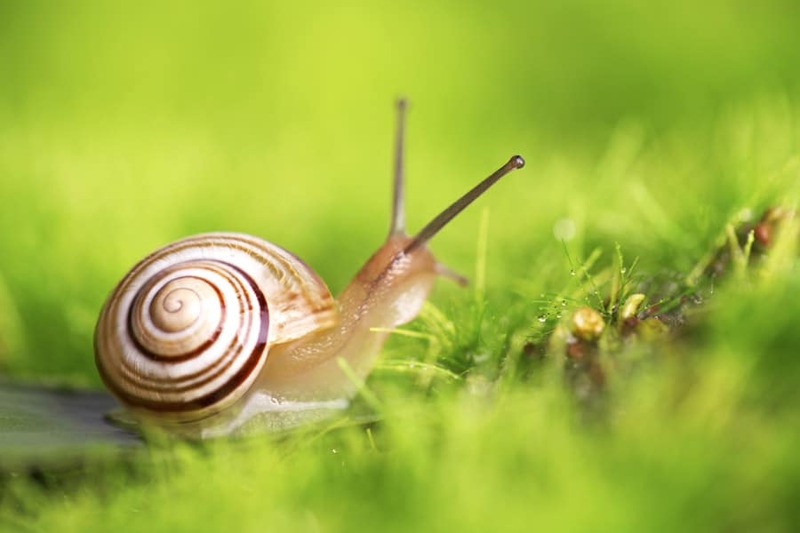 Snails have a hard spiral shell on their backs while slugs lack external shells completely .Snail shells provide protection from predators and during periods of excessive heat and dryness. Slugs and snails are hermaphrodite, producing both eggs and sperm, and they can mate with any adult of the same species. Slugs lay clusters of up to 50 eggs in soil or organic matter. These can hatch in as little as three weeks. There are generally two generations each year but sometimes more in wet summers. Adults can live for many years. Feeding by slugs and snails leads to cut stems and shredded leaves. Plant damage by slugs can occur above or below ground, so bulbs are also susceptible. Crops grown in heavy soil are particularly vulnerable because the conditions favour the survival of slugs.Trails of slime confirms the presence of slugs and snails, which will devalue ornamental crops.